Missing Teeth? Dental Implants in San Marcos Can Help! Most people never think about the impact of losing their teeth until it happens to them. Unfortunately, there are a lot of potential reasons for tooth loss that are mostly out of your control, like injuries, gum disease and even genetics. But regardless of the cause of tooth loss, the effect is the same – your quality of life is impacted! From feeling embarrassed about the gaps in your smile to not being able to eat all your favorite foods, it’s natural to want to find the best solution available to restore your smile. 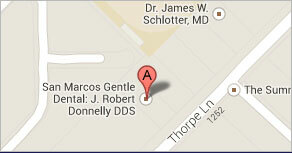 One of the best options is dental implants in San Marcos! Other alternatives simply can’t come close to giving you the feel and function that implants do. One of the biggest advantages of dental implants is that they can be customized for a variety of situations. 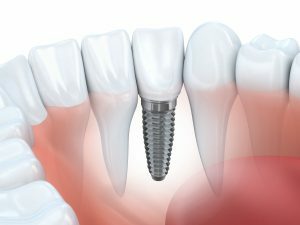 Whether you’re missing one tooth, several teeth or all of your teeth – there’s a way that implants can help! Of course, a single missing tooth will simply be restored with a single implant. If you’re missing several teeth, an implant-retained bridge is a great option, where two implants are placed on each end with a “bridge” tooth in the middle. This will give you dramatically more chewing power than a partial denture! Also, if you’re missing all of your teeth on the top or bottom, having 2-4 implants serve as anchors for a full denture will be superior to traditional dentures. In fact, this is now the standard of care for any patient needing a full denture, because it makes such a huge difference in helping the denture fit and function better. The reason that implants are so much better than other tooth replacement options is that they replace both the root and tooth. This gives them unparalleled stability and helps protect the existing bone levels in the jaw. The first phase involves replacing the root of your missing tooth with a surgical-grade titanium post. This part is actually quite easy and painless! Typically it will take 3-6 months for the post to fully integrate with your jaw. You’ll be able to function normally during this time and won’t have any noticeable impact on your everyday life. Next, you’ll have impressions, or molds, taken so that your new implant crown will look and feel like the rest of your teeth. The final step is the placement of the implant crown. When this is done you’ll feel like you have a brand new tooth! While implants are widely regarded as a fantastic choice for most people, you’ll want to start by scheduling a consultation with your dentist to make sure you’re a good candidate for the procedure. With this modern dental procedure, you can restore your healthy smile and enjoy all the benefits that go along with that! Throughout his dental career, Dr. Robert Donnelly has gone above and beyond to achieve a high standard of professional excellence. 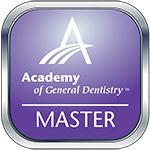 He was awarded the distinguished Lifelong Learning & Service Recognition (LLSR) by the Academy of General Dentistry, which recognizes dentists who have demonstrated exceptional skill, service and learning. He particularly enjoys using new advances in dentistry to improve the lives of his patients with missing teeth. He can be contacted via his website, or at (512) 396-5225. Comments Off on Missing Teeth? Dental Implants in San Marcos Can Help!